Earn 20 hours of CME awarded from the Society of Vascular Ultrasound (SVU). The exam contains 100 multiple choice questions. The passing grade is 70%. 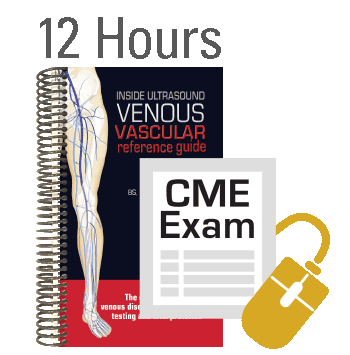 To qualify for the purchase of this CME exam you must be the purchaser of record of the Inside Ultrasound’s Vascular Reference Guide. 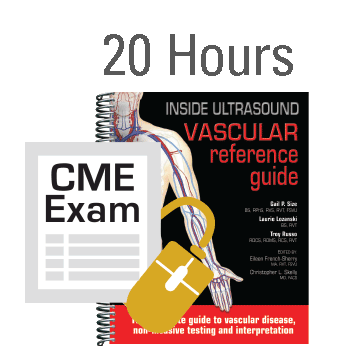 To qualify for the purchase of this CME exam you must be the purchaser of record of the Inside Ultrasound Vascular Reference Guide. You are limited to 10 purchases of the online CME Exam. For additional purchases see below. Earn 20 hours of CME awarded from the Society of Vascular Ultrasound (SVU). 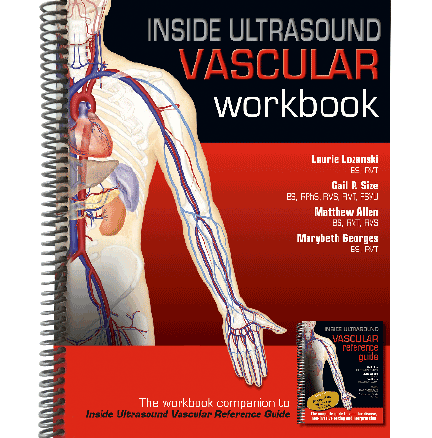 This online exam is based on the information contained in Inside Ultrasound’s Vascular Reference Guide. The exam contains 100 multiple choice questions. The passing grade is 70%. Each candidate will be allowed 3 attempts to successfully complete the exam. The exam does not need to be completed in one session, you may enter and exit the exam as many times as you want. The exam will be available online for 3 months from date of registration. This program meets the criteria for SVU-CMEs which are accepted by the American Registry of Diagnostic Medical Sonographers® (ARDMS®), the American Registry of Radiologic Technologists, Cardiovascular Credentialing International (CCI), the Intersocietal Accreditation Commission (IAC) for laboratory accreditation and (ARRT) for Category A credit. After you purchase the exam the system will display a page where you will download a document with information about the exam, then within 48 hours of your purchase you will receive an email with a ULR link for taking the exam, your logon and password. Each purchaser of the book will be allowed to purchase CME exams. The price is $50.00 each for the exam; a total of 10 CME exams can be purchased per book. Upon passing the exam, a certificate for 20 hours of CME, awarded by SVU, can be immediately printed from your computer. If you need additional exams please call Inside Ultrasound at 520-642-1303.